My neighborhood Safeway recently did some remodeling. Unfortunately, they apparently didn’t bother doing any customer consultations and, assuming they used a professional design firm for their new layout, the designers apparently didn’t do any customer focus groups either. So what they did was re-do the entire store product layout which not only meant several weeks of construction nuisance for shoppers, but more importantly: none of us could find anything. Frankly, I spent several weeks avoiding the Safeway in favor of my other venues: Trader Joe’s, Fry’s and the neighborhood WalMart food store (save your snarky comments for someone who cares). 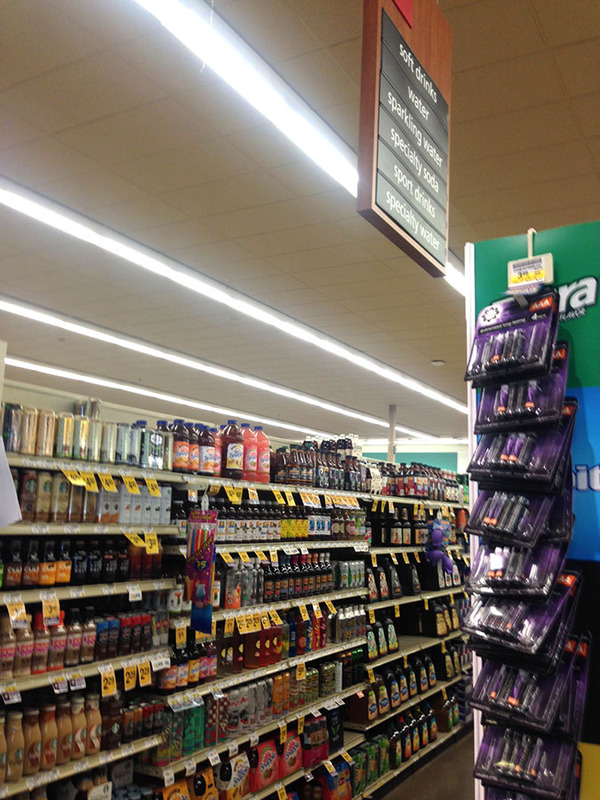 Because: not only could I not find things, the Safeway design geniuses decided to hang aisle signs that can only be read from a very narrow angle. Thus, if you’re coming out of the coffee products aisle and turning your cart into the next aisle, it’s really really difficult to read the list on the board. 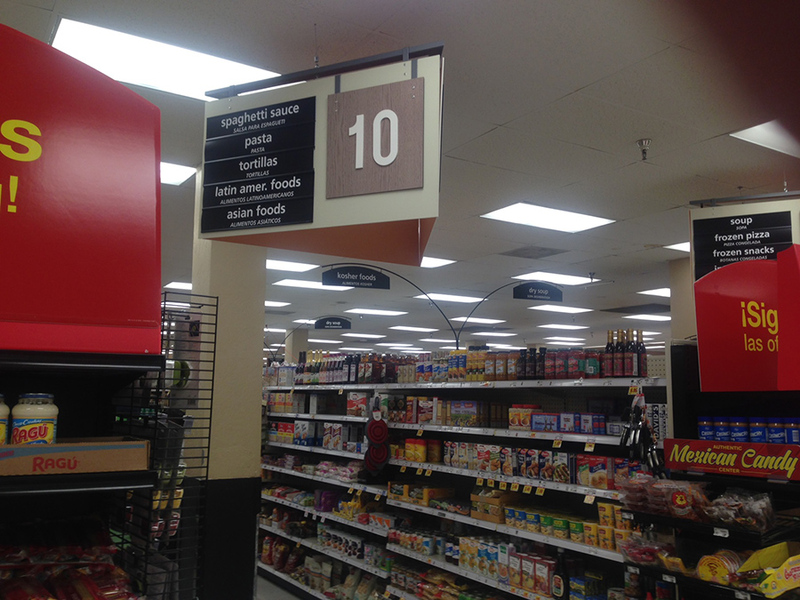 Other grocery venues have solved this by either having a triangular sign, readable from either side as you approach the aisle, or by having a straightforward outward-facing sign. Now, I think I know what happened. They wanted to add some aisles (two, I’m told) and this caused them to have to narrow-down existing aisles. 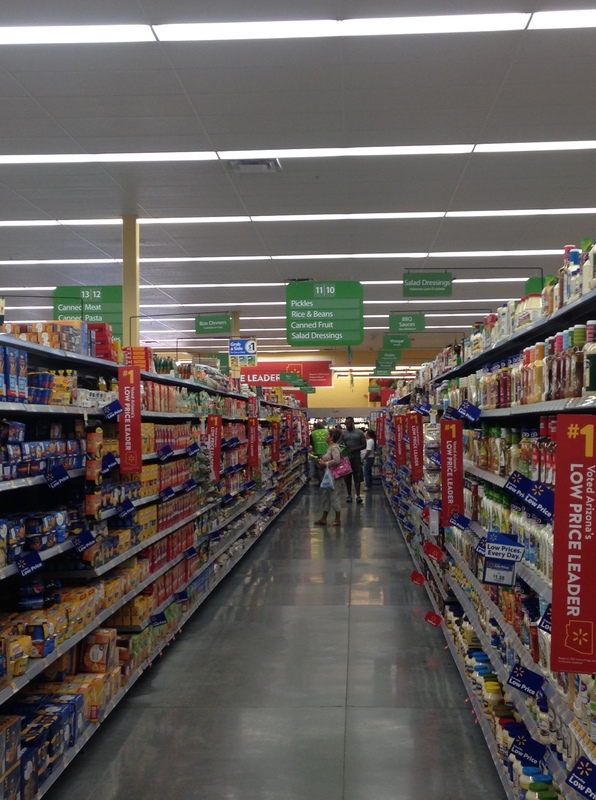 Maybe they figured the new narrow aisles required a narrower signage configuration. But they never field-tested this with customers. The remodeling also involved massive relocation of nearly all the products. Bread, for example, moved completely across the store and OJ was moved from a back wall to an interior aisle. And god-only-knows where my hash browns are. But Monopoly game adherents will be glad to know they can still waste their time endlessly pasting in those pointless tiles. This entry was posted in humor, Language, Marketing, Photography, Politics and culture and tagged Fry's, interior design, Safeway, signage, Walmart, wayfinding signage. My local Fry’s decided to put up an Ad Signs that completely cover the Entrance and Exit front doors. The customers coming in and going out could not see through the doors. Consequently, people entering were rammed by baskets full of groceries consistently. Another case of not doing the required research. So how long did this go on before the store figured out what was happening? Or did they?